WARNING: This product can expose you to chemicals including Cobalt [II] oxide, Methanol, and Styrene, which are known to the State of California to cause cancer and developmental harm. For more information go to www.P65Warnings.ca.gov. 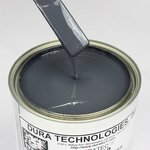 Duratec® Gray Surfacing Primer is the best choice for coating your plug or reconditioning your mold. It is suitable for use with wood, MDF, tooling board, composite plugs, patterns, and models. 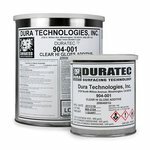 It offers excellent adhesion to most epoxies with a heat distortion level of 200° F.
The unique air-cure technology allows fast cure even with thin coats. 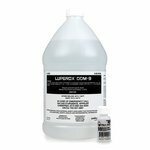 It can be applied as heavily as 45 mils to fill fabric pores on plugs or over repairs. 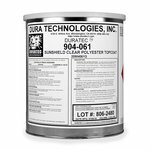 To reach your desired spray viscosity, you can thin 5%-15% with #2306 Duratec® Thinner. 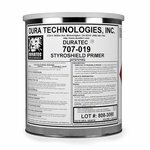 Duratec® Surfacing Primer offers minimal shrinkage and a porosity-free surface without pinholes or defects. It features a super-fine levelling and filling system that sands easily, builds rapidly up to 40 mils on composite plugs, and can be polished to a Class 'A' mirror finish. 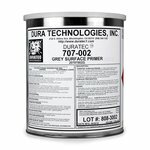 Duratec Gray Surfacing Primer quart (#1041-A), quart case (#1041-AK), gallon (#1041-B) and gallon case (#1041-C) units can be shipped via standard ground service without hazard charges within the 48 contiguous United States. 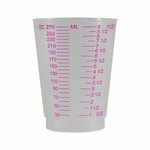 The single quart unit (#1041-A) will be subject to a hazard charge if shipped by air. 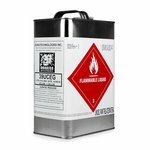 The single gallon unit (#1041-B) will be subject to a hazard charge if shipped by air. 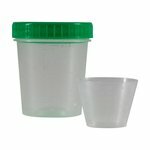 This product in the gallon case unit (#1041-C) cannot be shipped by air. Please see our Hazardous Shipping Chart for more information about hazard fees. We will consolidate items whenever possible to minimize these fees. This is the very best primer/surfacer product I have ever used. Great service, sadly I ordered just prior to a public holiday which, delayed delivery but once the holiday was over everything was simply perfect. This primer can be polished to a glass finish with ease and was a perfect choice for pre-tooling gelcoat coverage. BRILLIANT! Very good product. Goes on thick and flows into surface flaws nicely. 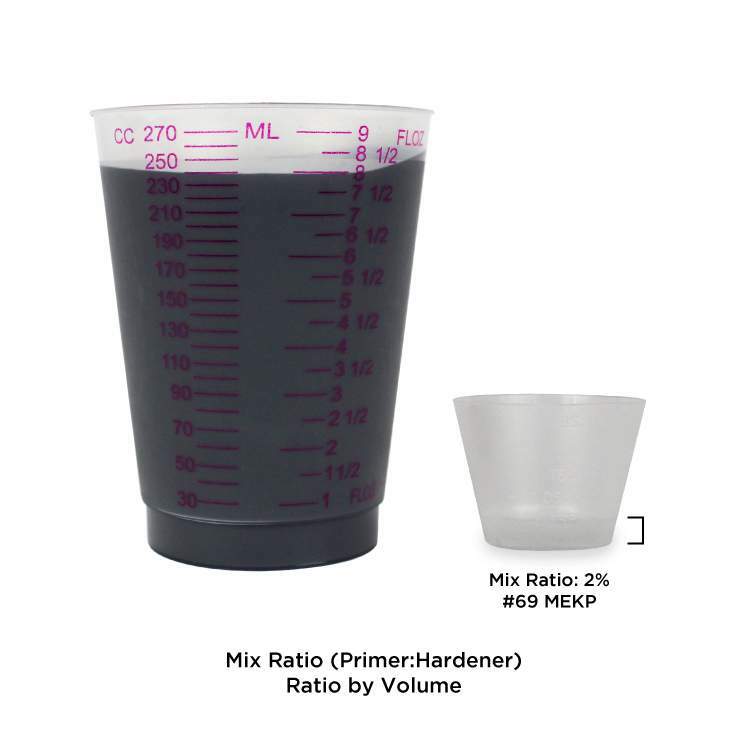 However, for smaller projects, gallon-only size is way too much. 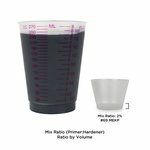 I had a nearly full gallon from a few years ago and it went bad. I will have the same problem with this gallon. I really like the product except that the shelf life is very short. It would be nice if you sold this in quart cans. Thanks for your honest feedback, Joel. I will take this to the product team immediately! Duratec Gray Surfacing Primer Gray Surfacing Primer is available in sizes that include: One quart (#1041-A) One case of six quarts (#1041-AK) One gallon (#1041-B) One case of four gallons (#1041-C) *Quantity discounts are available on the case only when four or more cases of gallons are ordered at one time.